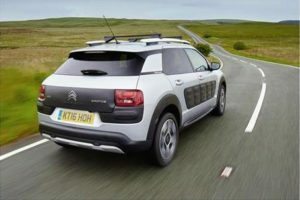 Looking for an objective review of the Citroen C4 Cactus Hatchback? OSV have got you covered, from engines to lease deals. The new Citroen C4 Cactus Hatchback is for families who want something a bit different this year. It’ll stand out on the school run with its unique looks that bride the gap between a hatchback and an SUV, and can boast an affordable price tag, low running costs, a stylish interior, and lots of comfort. If you think the quirky Nissan Juke has become too popular already, the Cactus gives you a chance to make a style statement in a car that’ll get all the other parents talking. 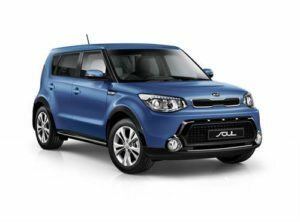 Its styling and colours are bold, but it’s got all the stuff you need as a family, too: Good visibility, comfortable ride quality, roof-rails, air conditioning and a good-sized boot. OSV takes a closer look at what the car your kids will love is all about with our 2017 Citroen C4 Cactus Hatchback review. Truth be told, the C4 Cactus looks like it’s the off-road sporty type. Thing is, it’s not brilliant off-road (it comes with front-wheel-drive only), nor is it particularly sporty. Instead, like Citroen hatchback’s of old, it’s all geared up for comfort. And thanks to soft springy suspension, it’s as comfortable as cars like this come in 2017. It’s worth bearing in mind that Citroen staked its reputation on relaxing, comfortable cruisers a few years back, and it’s nice to see them returning to their old values. The trade-off is that there is body roll a fair bit in bends, but, thanks to being so light, it’s entertaining enough to drive. Moreover, the steering is precise and light, and the car is fun to drive in the town and the country, and wholly relaxing on the motorway. We do suspect its gearbox will be a source of frustration for buyers. For whatever reason, the gears are spaced out too wide, and this means it’s virtually impossible to change gears with speed. However, Citroen might argue that this suits the chilled-out, easygoing nature of the car. You can either pair your engine up with an automatic or an automated manual, with OSV preferring the former. Disappointingly, you can only get it if you fork out for the Pure Tech 110. Speaking of the engines, they’re all capable performers who won’t let you down, with the only fly in the proverbial ointment being the smallest diesel which rattles when you really put your foot down. The aforementioned Pure Tech 110 is our favourite. It comes with the Flair trim, and can get you from a rest to 62mph in almost 9.0 seconds. The BlueHDI 100 is a good pick, too. It’s got enough power to cover the 0-62 dash in 10.6 seconds, and overtakes on A-roads wit confidence. It’s the second fastest engine in the range, trailing only the Pure Tech 110. It gets our thumbs up. We love the way this car looks on the outside, and we’re sure its daring styling will prove a hit with families who are looking to stand out from the crowd of bland hatchback’s and Nissan Juke’s. And while the interior is riddled with a few cheaper plastics, it surely won’t alter the way buyers feel about the stylish cabin. And while the interior is riddled with a few cheaper plastics, it surely won’t alter the way buyers feel about the stylish cabin. Indeed, the sense of style is breathtaking in a sector fixated with functionality and neutral greys. Simplicity is another theme that runs throughout the interior design – the storage space located on the dash, and the doors’ grab straps are evidence of the clean, minimal but eye-catching look that Citroen were going for. You get the chance to customise the way your dashboard looks, choosing from a number of different colours so that you get the look you want. Button clutter isn’t an issue, thanks to the 7” colour display that takes care of a lot of the cars’ main operations. What some buyers might have a problem with, though, is the fact that pop-up windows have replace traditional wind-down ones. In terms of interior space, the C4 Cactus doesn’t do much worse than the VW Golf, despite being a lot cheaper. It is, however, much more spacious than the quirky Nissan Juke. The front seats are like armchairs, and are easy to get comfy in, although it’s a shame that the steering wheel isn’t reach-adjustable. Moreover, the front seats are a bit spongy and don’t offer much by the way of support. The car comes with AirBump side-protection that will prove useful in the event of impact, while the boot measures a respectable 358-litres. Standard equipment is okay, but we fear your kids will be complaining on a baking hot summers day if you’ve gone for the entry-level model that comes without air conditioning. That aside, this model does get a DAB digital radio, a 7” display, electric windows, cruise control, and remote central locking. The Flair model sits at the top of the range. It gets our favourite engine, as well as air conditioning, a reversing camera and satellite navigation. Among the list of optional extras is the £595 City Park Pack which is perfect for anyone who finds parking in tight spaces difficult – the car will basically park itself. When the car was crash-tested by Euro NCAP it scored 4/5, but it’s worth pointing out that the 2014 test was one of the hardest ones yet. Among its standard safety kit are daytime running lights, numerous airbags and electronic stability control. Prices for the new car start out from around £13,000 and rise to £20,000 For more information on our leasing deals, check out our leasing page here. In terms of its running costs, it fares well, with the cheapest diesel model able to deliver fuel economy returns north of 80mpg. The petrols don’t fare too badly at all either, with the 81bhp PureTech 82 model able to average 65.7mpg while costing nothing to tax. The other petrol engines emit more CO2, but none cost more than £20 per year in road tax. In short, the car is a bit of a steal and is doing its bit for the environment. A hallmark of all cars like this is comfort, and the C4 Cactus doesn’t let us down here. 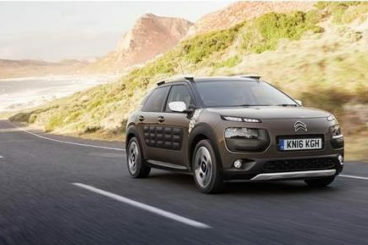 It certainly looks different to its rivals, with Citroen investing it with their signature quirkiness. You can’t argue with a fair listing price (£13,000 + ) and a diesel that can return fuel economy better than 80mpg. This one will gripe with some buyers, but the boot measures 358-litre’s with the seats up, which is reasonable enough. The car looks great, but underneath the surface it doesn’t stand up to scrutiny. Some of the materials are cheap and patchy. Let’s see how the car fares against its rivals in the comparison section of our Citroen C4 Cactus Hatchback review. The new Kia Soul is small, spacious and looks fabs outside and in. It’s one of the most unpretentious ways to get out and about in 2017. Kia’s evolution from bargain basement to high-quality family cars has been quite remarkable, and the Soul marks another landmark stage in this fascinating journey. It’s a car that has plenty of grip and power, and also plenty of soul (yes, we had to go there). However, there are gripes amid all the hype: The steering is too inert for our liking, while the engines are a fair old noisy bunch that might sound okay in Korea, but which are going to disturb you as you potter about in UK suburbia. Still, Kia clearly had UK roads in mind when they fitted the soft suspension, which cushions the body blows our brutal roads try to dish out. Avoid the 18” wheels, though, if you want things to stay as comfy as possible. There are two diesel engines available, but they’re both variations of the same CRDi. One produces 198bhp, and the other produces 126bhp. Both let you overtake with confidence, but both are loud. For less noise and more speed, it’s worth taking a new at the new 1.6-litre 198bhp T-GDI unit. This petrol engine essentially turns the otherwise sedate Kia Soul into a hot hatch, and it can whirl you from a rest to 62 in just 7.9 seconds. For something a bit more conservative, the 130bhp variant does the 0-62 dash in 10.6 seconds, but like the diesels it’s pretty noisy. These two petrol engines aren’t cheap to run either, with the more powerful of the two unable to return better fuel economy than 38.7mpg while costing over £200 to tax each year. That said, the diesels aren’t exactly what you’d call frugal, with the small 1.6-litre 130bhp only good for 56.6mpg. As said, the Kia Soul looks fab outside and in. Standard kit helps to this end, while comfy seats and adjustability ensure it’s also a usable, family-friendly car. In terms of its aesthetics, the cabin benefits from metallic and gloss-black highlights, while the buttons and switches look more upmarket than they ever have done. Moreover, a classy-looking 8” touchscreen is standard on Connect Plus models and onwards. Practicality is good, too. There are lots of storage spaces, leg and headroom is good, and load capacity is an impressive 354-litres. That’s just four-litres shy of the C4 Cactus’. 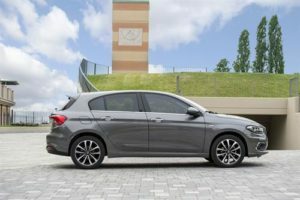 The new Fiat Tipo Hatchback has the kind of qualities that normally appeal to families: practicality, value for money, and plenty of standard kit included in the listing price. 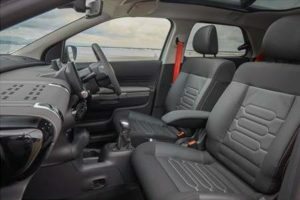 It also offers lots of comfort on the road, with Fiat aiming for sound ride quality over sportiness. There are complaints with how it handles, though: the steering is lifeless and vague, while the suspension – soft as it may well be – lets in too much body lean as you take on bends. The ride rarely feels harsh, but it will bounce a fair bit over Britain’s worst roads. In terms of the engines, there are a pair of diesels to choose from, with the smaller 1.3-litre unit able to get you from a standstill to 62mph in 12.0 seconds while paired up with a 6-speed manual box. That’s hardly jet-heeled stuff, but the stronger 1.6-litre 118bhp engine has more power and does the 0-62 dash in less than 10-0 seconds. Unfortunately, the more you accelerate, the noisier this engine gets. There is more choice if you’re a petrol fan, starting out with a 1.4-litre 94bhp entry-level engine that does 0-62mph in 12.1 seconds. A 109bhp variant covers the same sprint in 11.5 seconds, while the turbocharged 1.4-litre 118bhp petrol unit does it in 9.6 seconds before maxing out at 124mph. Running costs are on the whole good, and both diesel engines can return fuel economy higher than 75mpg. They’re also both free to tax. The petrols return respectable numbers, with the 1.4-litre 94bhp good for 50mpg. The Tipo’s interior is built with functionality as a priority. It’s a good enough cabin to cope with your needs, but it won’t inspire you and this is one Italian car that lacks customary Italian flair. The dark upholstery and plastics contribute to a clinical, sobering interior in stark contrast to the Citroen’s flamboyancy. However, this is a car for families and to that end it’s a success: It’s super spacious, versatile, and affordable. There are lots of storage spaces inside the cabin to ensure you guys keep things nice and tidy, the seats are comfy, visibility is impressive, and the boot is almost a hundred-litres bigger than the Citroen’s, measuring 440-litres. Citroen were probably a bit bored when they checked out the competition in this sector, and decided they can do better. The new represents a welcome return to quirky designs from the flamboyant French brand that lets you feel fabulous for less than £14,000.